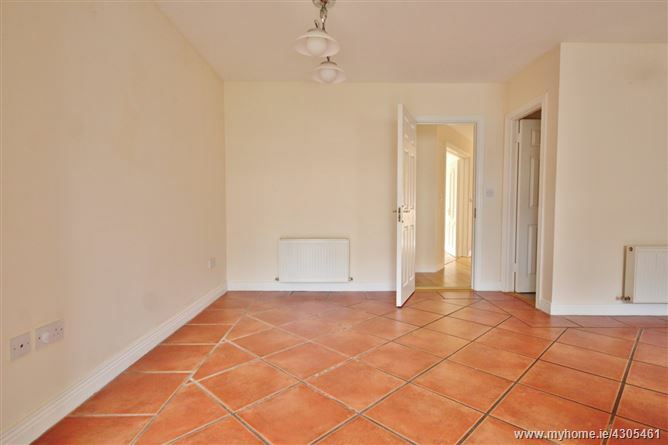 Attractive part brick fronted three bedroom residence extending to c. 109 sq.m/ 1,173 sq.ft. 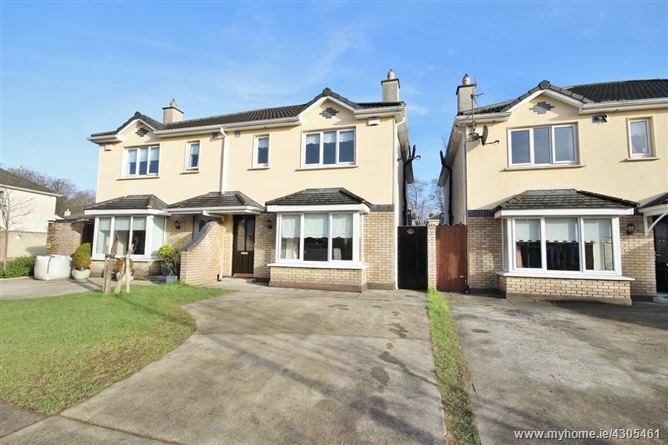 Built c. 15 years the property is in excellent condition throughout. 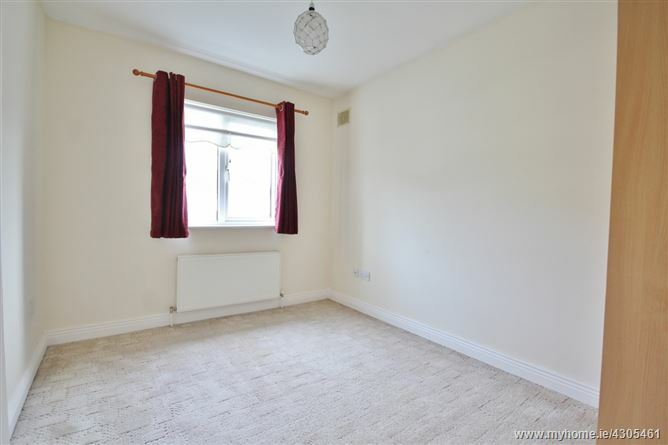 The décor is neutral in tone and features include large bright open plan kitchen/ dining room, gas fired central heating, solid wood flooring upstairs and the bedrooms are generous in size with fitted wardrobes in two bedrooms and the master bedroom is en-suite. 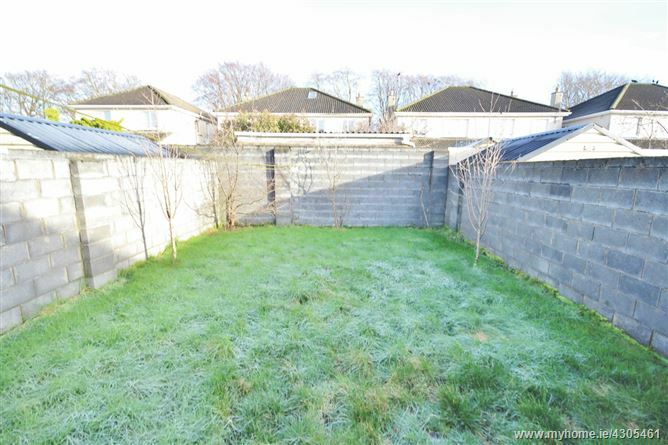 The property has off-street parking and a good sized rear garden with raised decking. 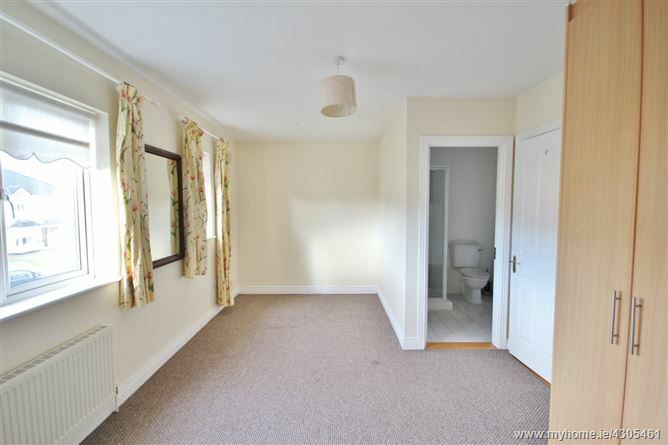 This is a lovely home in a much sought after development. 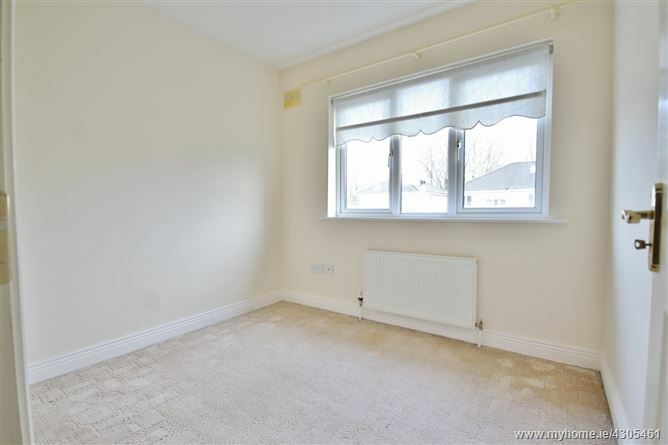 This tastefully decorated property is located in a mature tree lined cul-de-sac in the prestigious & popular Burgage Manor Development. 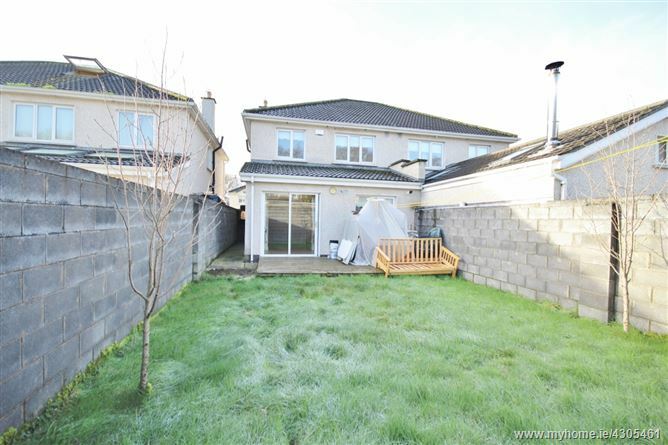 Located just on the edge of Blessington Village, Burgage Manor is convenient to all amenities that Blessington has to offer and is easily accessible to the larger areas of Naas and Dublin. 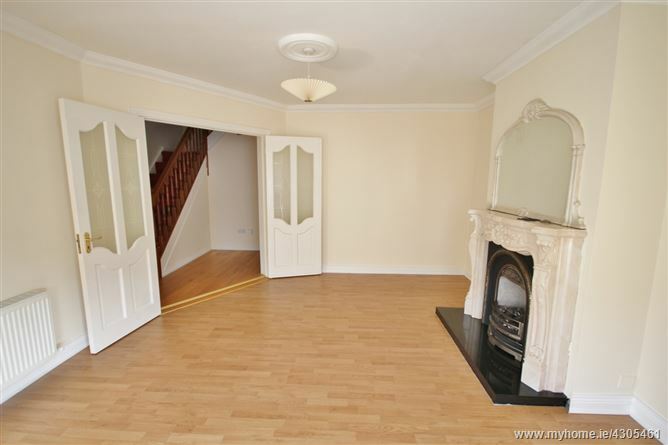 Entrance Hall: 3.97m x 1.10m + 1.85m x 2.40 (max)m. With wooden floor. Guest W.C.: 1.94m x 0.99m. 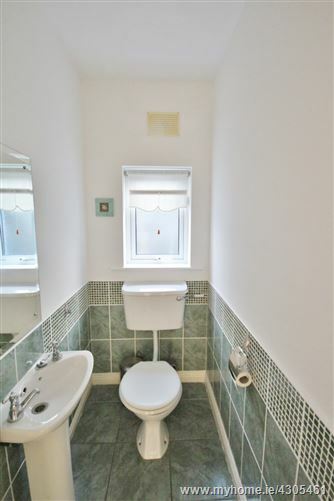 With w.c., w.h.b., tiled floor and part tiled walls. 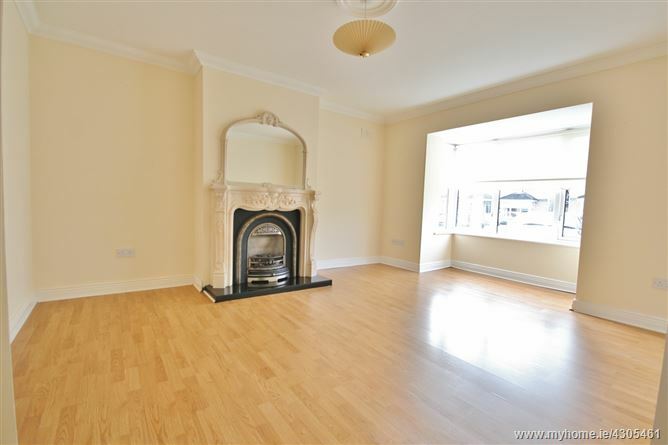 Living Room: 5.36 (max)m x 4.04 (max)m. With feature marble fireplace with gas fire insert, bay window and wooden floor. 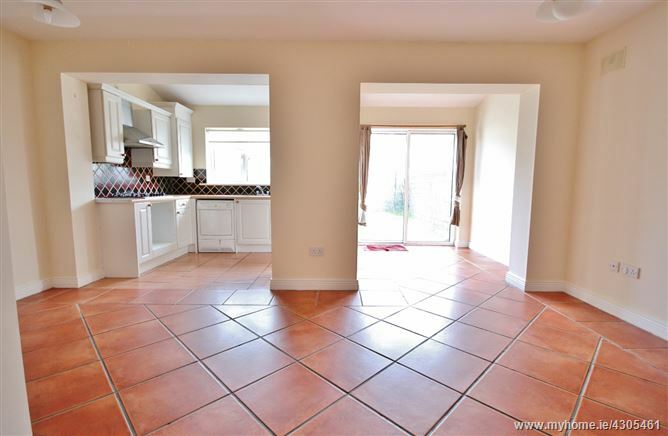 Kitchen/ Dining Room: 5.33 (max)m x 3.23m + 5.33m x 2.02m. With fitted kitchen units, tiled floor and splashback. Storage: 1.92m x 0.77m + 0.92m x 0.78m. 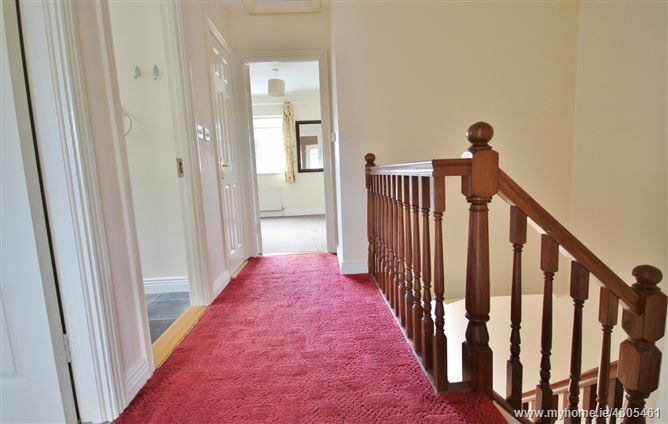 Landing: 3.15m x 1.18 (max) m. With attic access. Bedroom 1: 2.65m x 2.32m. 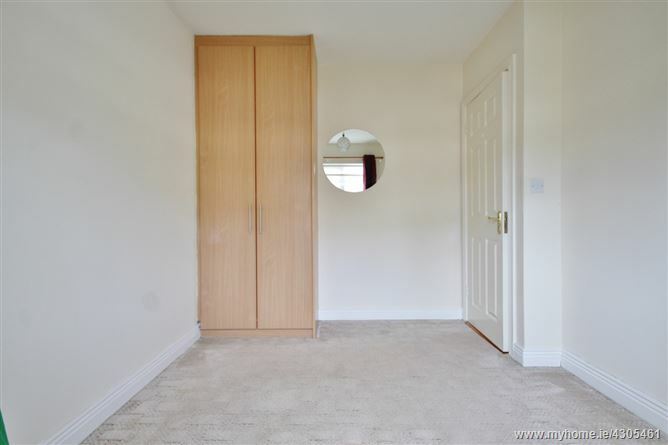 Bedroom 2: 2.59 (max)m x 3.37 (max)m. With fitted wardrobe. 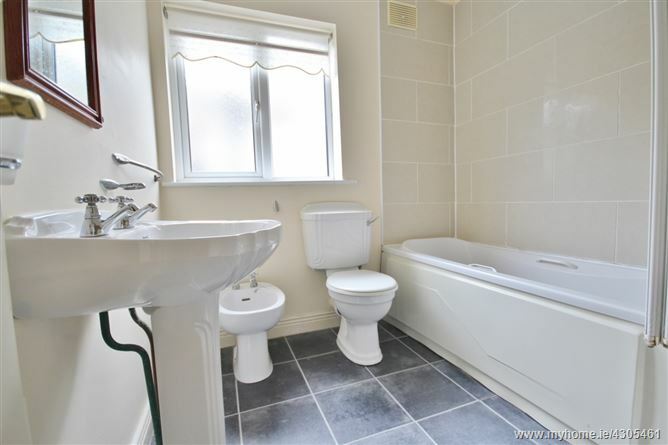 Bathroom: 2.08 (max)m x 3.37 (max)m. With bath with shower, w.c., w.h.b., tiled floor and part tiled walls. 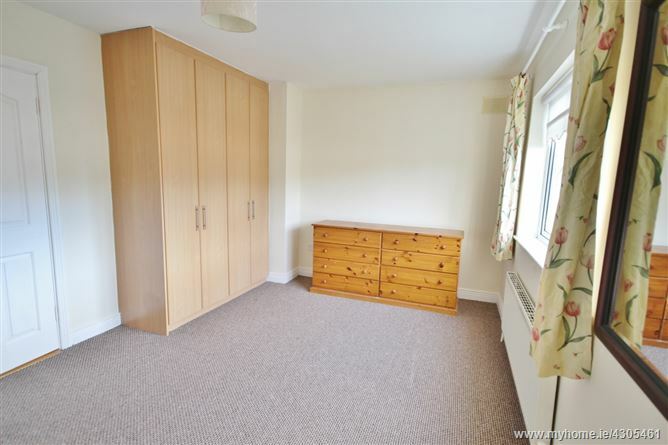 Bedroom 3 (Master): 3.28 (max)m x 5.35 (max)m. With fitted wardrobe and en-suite. 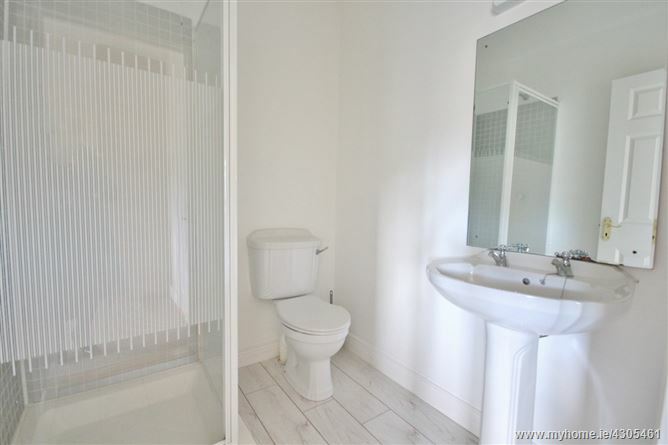 En-Suite: 1.84m x 1.70m. With shower, w.c. and w.h.b. •	Rear Garden with Raised Decking.